Fans flocked to Georgia Tech&apos;s home arena on Thursday night to see the 25th annual State Farm College Slam Dunk & 3-Point Championship. Doug Anderson entered as the prohibitive favorite and he did not disappoint. Anderson put on quite a show for the fans at the McCamish Pavilion, proving once again that the NBA Slam Dunk Contest has nothing on the college version. Anderson became the first winner of the event to use just one attempt per dunk, an incredibly rare feat in any dunk competition. The University of Detroit product has never lost a slam dunk competition, with last night&apos;s runaway victory upping his streak to five in a row. The dunks he preformed on Thursday have all been seen before, but his intensity, showmanship and execution separated Anderson from the pack. 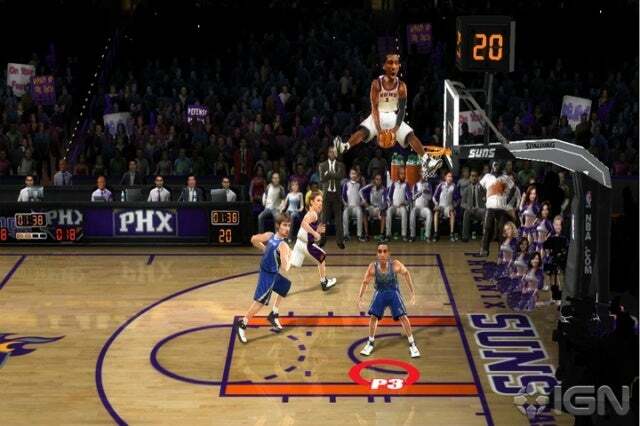 #1: A classic below the waist reverse slam straight out of NBA Jam. #2: A vintage power-windmill dunk from LeBron&apos;s archives. #3: J.R. Rider was the first to go through the legs and it remains a fan favorite. #4: Never to young to steal from, this gem comes from McDonald&apos;s High School All-American, Andrew Wiggins.